Merry Christmas! Craciun Fericit! Joyeux Noël! Pearls will never be forgotten. That's right, their elegance, their colors in such a great variety, the classic beauty and feel....all these make them very loved by women who like to wear them at special occasions. 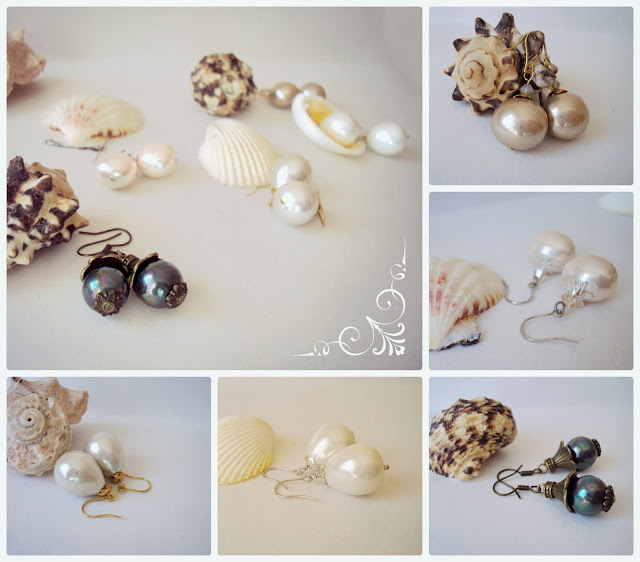 I found a great variety of shapes and colors, although man made, these Mallorca type pearls will surely bring you that sophisticated look you are looking for. You can choose between big, modern or smaller, delicate pearls in petrol gray, ivory-gray, white, pink-rose, golden-gray. They are all so gorgeous!